Modular data centers have been around for years, and although only a small percentage of companies use them, demand is on the rise as companies seek quick access to data center space. The percentage of companies that have acquired modular, or prefabricated, data centers so far is small -- 9% with 8% of IT managers planning to deploy modular data centers, according to a 2013 Uptime Institute survey of 1,000 data center managers and executives worldwide. But the companies that have adopted containerized, modular data centers are large. They include Microsoft, Airbus, AOL, British Petroleum, CB Richard Ellis and Lexis Nexis. 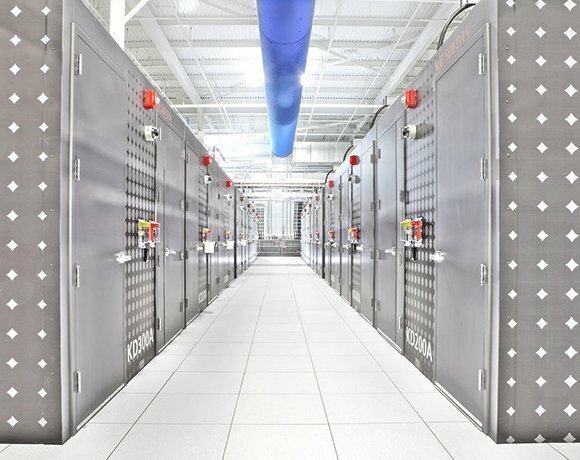 Other companies are expected to join them; 30% of respondents to the Uptime Institute's survey said they will consider these types of data centers in the future. The modular data center market is expected to grow to $40.41 billion by 2018, at an estimated compound annual growth rate of 37.41% from 2013 to 2018, according to a report by Markets and Markets published in May. With that, modular data center providers have opened additional factories to churn out modular data centers as fast as customers need them. The combination of standard components and an assembly line allows providers to deliver extra IT capacity to companies much faster than it would take them to build out a brick and mortar facility.